I’ve got to say, I love the word widget. It reminds me of a creature that would be in Star Wars. But besides furry space animals, widgets are actually very helpful for web application management. And BitVital is full of them. It’s the cloud-based SaaS (Software as a Service) solution that is helping you with image management by making it easier to manage your application assets. Here’s how. BitVital offers a simple way for web app owners and developers to upload, store and manage images and files in the cloud. Good thing too because manipulating and handling images on your web app can be a huge headache. But, the site has developed widgets to take away image-editing pain for the end users and help developers control widget’s behavior and output using Widget Configuration. 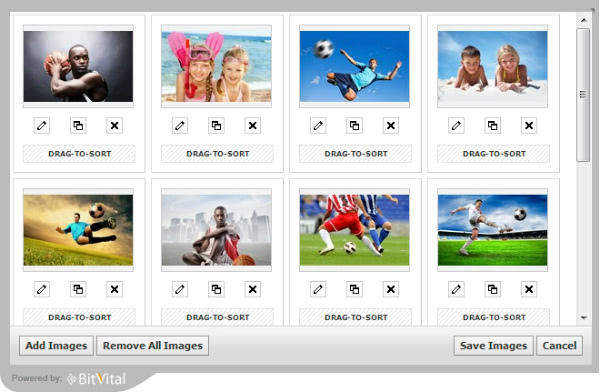 The single and multiple image uploader widgets allow visitors to your site to upload one or more images to your cloud and makes it simple and easy to resize, crop, rotate, etc. What would a modern web app be without a personal profile for users? Not very modern if you ask me. 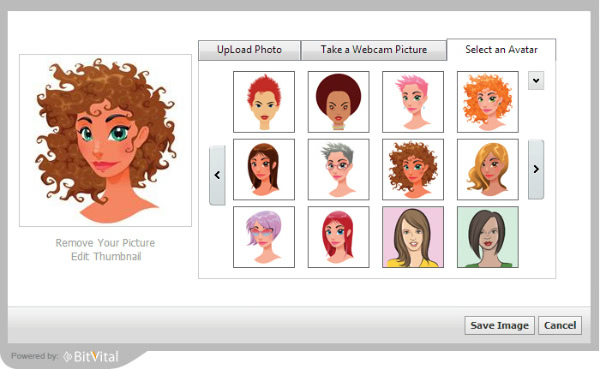 BitVital also hooks you up with a widget to capture a user profile image using their webcam or a nifty little avatar. BitVital’s dynamic RESTful URLs service is the site’s hallmark feature. By using simple dynamic URLs, you can display multiple images with multiple effects, and you only have to use one source. 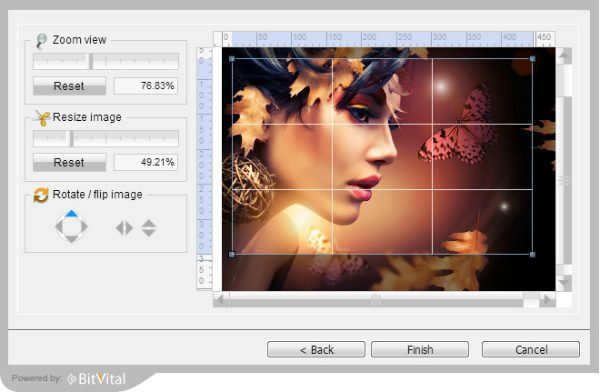 Some of the image effects include height/width resize, stretch size, zoom, crop, etc. Quick and easy set-up – With just a few lines of code, you’re ready to go. Less coding and development – No need to develop code to manage files because BitVital has done all the work for you. Better user experience – Service is reliable, assets are delivered faster, performance is improved and interface is easy to use. Low cost monthly fee – With just one low monthly subscription fee (based on your storage and bandwidth requirements), you don’t have to worry about any upfront costs or long-term commitments. Any tool or service that’s going to help you run your web business more efficiently and cut out frustration and wasted time, is pretty awesome. BitVital manages to do that by making image and file management easy for web application owners and developers. Check it out, ease your pain, and focus on growing your business instead. For more information about BitVital or to request assistance with your account, contact Founder Jasdeep Singh and his team by email or via their online contact form.